Let’s face it. Busy lifestyles and the aging process make losing weight a lot harder. Plus, food is a big part of our social rituals—resulting in pounds packed on around the holidays that we mean to lose, but never do. While exercise is a crucial part of a healthy routine, the old adage rings true: “You can’t outrun your fork.” For many, effective dieting is the missing piece to their weight loss strategy. The accountability factor of a structured diet can be a big help. Willpower issues and hunger pangs often lead DIY dieters to “cheat,” sabotaging their progress. Many even give up on dieting entirely because it’s too difficult. That’s why you need a partner to support you and keep an eye on your progress. At 4Ever Young we combine wellness expertise with the latest in medical dieting to ensure that your diet is actually successful, and we’ve seen great results in patients who have formerly struggled on their own. The HCG weight loss protocol consists of a very low calorie diet accompanied by HCG injections. 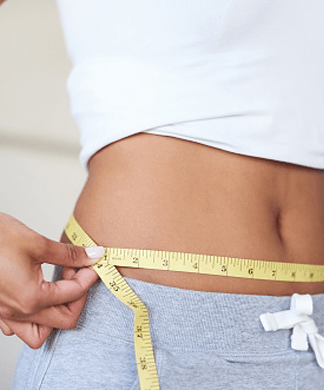 In addition to loss of unwanted fat, the true benefit of the HCG protocol is the ability to help modify a person’s relationship with food and eating, resulting in easily-maintained, long-term weight loss. Hunger and fatigue are minimized because of the addition of HCG injections; as well as providing the benefit of maintaining muscle, avoiding that “drawn look” people can get if they lose too much weight at one time. If you’re ready to shed pounds and get into the best shape of your life, schedule a consultation with one of our wellness experts today. If the HCG diet is too aggressive for your needs, we can also customize a diet and meal plan just for you. 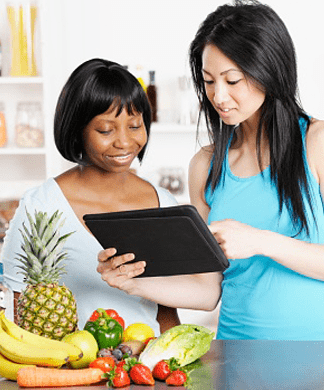 Simply visit with one of our wellness experts and explain your goals and limitations, and we’ll have our registered dietitian create a plan that works with your lifestyle. Plus, we have fitness experts on staff that can help you pair your weight loss goals with targeted workouts to help you shape up your new trimmed-down physique. Even when eating normal portion sizes, most Americans struggle to get all of their essential nutrients just from food. Add a reduced-calorie diet to the mix, and there’s a real chance that you’ll be deficient in what your body needs for health. In fact, the unpleasant symptoms many people experience during dieting aren’t due to calorie restriction alone, but the absence of nutrients they need to feel their best—which is why supplementation is so important for dieters. Supplementation is a no-brainer for dieters because the nutrients you need to support metabolism, energy levels, and mental clarity won’t be present in high enough quantities during a restrictive regimen. Dieting is hard enough without the “brain fog” that comes from low B-12 or the fatigue of going without crucial amino acids. But with proper supplement support, you can feel great and emerge from your successful diet full of energy and ready to take on the world. Explore our full range of 4Ever Young supplements here. Every patient is different. Our diet and meal plans are medically monitored and can be created especially for your needs. We’ll keep an eye on your measurements, weight, and body composition to monitor your results and make adjustments as you continue on your journey to a slimmer, healthier you. We also offer a range of supplements to maintain optimum nutrient levels as you embark on a low-calorie diet and enhance your health long after the diet plan is over. This medically-monitored low calorie diet is perfectly safe in the short term. We’ll keep track of your vital signs and measurements to make sure results are healthy and give you the tools to sustain your weight loss after the HCG diet is over. Without those extra pounds, you can look forward to a healthier tomorrow. HCG is administered by injection. We will show you how to give yourself the injections in office, and you’ll do them yourself at home over the course of the diet. This varies by patient. Patients have lost anywhere from ½ pound to 3 pounds per day, depending on their starting weight. The HCG diet is about results, so if you follow the regimen exactly as directed, you will lose weight.